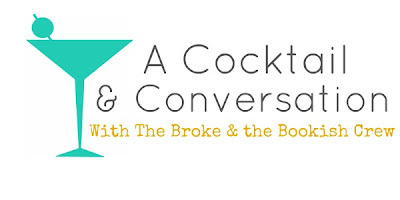 The Broke and the Bookish : Cocktail & Conversation with TBTB crew -- Reading Spots! Cocktail & Conversation with TBTB crew -- Reading Spots! 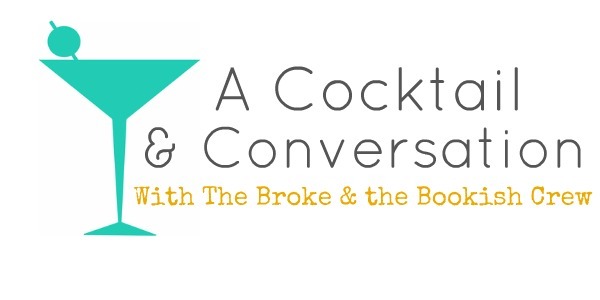 Every other week here at the Broke & The Bookish is A Cocktail & Conversation time. We'll pose a question to 2-3 members of TB&TB crew about books, life, music, etc and then they'll answer and we can converse about it. So grab a cocktail & cozy up for some conversation. It's 5 o'clock somewhere, friends. **We are changing it up and each of us will take a turn asking the others a question. Feel free to leave a comment or email us if YOU have a question you want us to answer! Where is your favorite place to read? Does it change seasonally? Julia says: I think my favorite place to read that crosses all season is in bed. I cuddle up near the light and fly through the pages. My second favorite place is a seasonal, or more appropriately, weather permitting location. I love reading on beaches, decks, outside under a tree, anywhere in the open where I can have the sun in my face and the wind in my hair. It helps if I am getting a tan at the same time, too. Kelly says: I adore reading outside. I live in Florida so the weather permits that 85% of the time. I always bring a book with me to the beach - what's better than the sound of waves and birds for a backdrop while reading? I'll be anxious to see how readable my new Kindle will be at the beach this summer. My back porch is also a favorite. There's a comfy padded swing and my kitty is usually there to keep me company! What about you guys? Where do you like to read the best? Does it change seasonally? How do you pick the books you read? I go by peoples recommendations and what takes my own fancy. I haven't participated in a Cocktail and Conversation in a while!! For me my favorite spot to read is right in front of the TV, with it on. I love the background noise and every now and then I look up and check out what's on and then back to reading. I do like to read in bed but my husband goes to bed so early that typically I never get to do that. I envy Kelly being able to read at the beach.. I live in Colorado so no beaches even close to me! My favorite spot to read: the bathtub! So true. 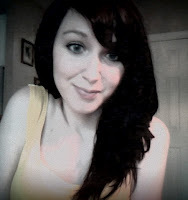 I'm freeeezing most of the time. When it's warm, I read in the sun on our back porch or on a beach blanket in the back yard. I get reader's tan (similar to farmer's tan but mostly forearms from holding the book). When I lived at home with my folks, I even read in the pool! Kelly's back porch sounds lovely *. * my fav places to read at home are in my bed and in the most comfortable armchair in the living room. I don't like reading at the beach because everything gets so sandy and uncomfortable. During the Spring, I read outside ALL the time. There's this beautiful garden on my college campus right next to a gorgeous library. It's right in the middle of campus but it feels so peaceful and secluded all the time, even when dozens of people are walking buy. It's hands-down my favorite place to read when the weather permits. Other than that, I have a really comfortable chair at home that's quite spacious. I like to drape my legs over the side and read with my book above me--I can sit like hours for that and just read all day. I probably read more in bed than anywhere else... but I will read almost anywhere (and everywhere.) The sofa is probably my second choice; I have a preferred end that is "my" spot, and I always curl my legs up when I sit down to read. When I was little, I used to read sitting backwards on the couch, as if to shut out the world, and I had a favorite crab apple tree that I would climb into to read in the spring and summer. I have found that my favorite place to read is in the car when it rains. I will go and sit in a parking lot with a cup of coffee, a book, and something warm to wrap up in. Cell phone off. I looove reading at a park or beach too. Something about the sun and sounds of nature make it more comfortable. I read anywhere I can. There's always a book in my handbag - and if I finish it, I've got the Kobo app on my phone. I mainly read on the train on my way to/from work, and in bed at night, but in terms of favourite places, I love going out to a cafe and reading in a corner. Background noise, coffee supply, things happening. Or, at my favourite retreat cabin, outside on the deck overlooking the forest. With a coffee. Or wine. I'm not picky ;) ! I love reading curled up in a comfy chair with a nice glass of tea coffee or water...I can never decide. Sometimes I eat candy while reading too ;-) Great answers from everyone! I read a lot during my daily commute, so I've become accustomed to enjoying my books on the subway. HOWEVER, most of my reading takes place on my bed - which is warm and soft and all kinds of comfortable. Other honorable mentions for places I enjoy reading: window seats (we had them in my old room), under desks (I used to do this as a kid, but I don't think I'd attempt it now), on planes/trains (yes, it distracts me and keeps me preoccupied), libraries (though it can be TOO quiet sometimes) and at a park/at the beach.